MEXICO CITY — The Mexican government said Thursday it will use buoys to mark the reserve of the world's most endangered marine mammal, in a bid to save the last remaining 10 or so vaquita marina porpoises. Environmentalists said the government program lacked sufficient details and stressed that more urgent measures are needed to save the vaquita from extinction. Alejandro Olivera, the Mexico representative for the Center for Biological Diversity, said the measures "are not up to the level of urgency that is required." 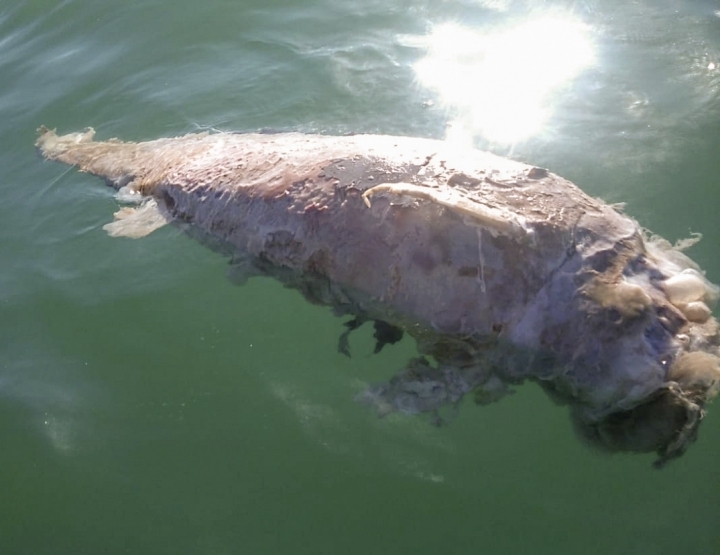 "With 10 vaquitas left, what is needed is total protection and the immediate elimination of illegal nets from the vaquita's habitat," Olivera said. In a report issued earlier this month, an international commission of experts estimated only six to 22 vaquitas remain alive. The lower figure was the number of vaquitas actually seen on the surface during a trip by researchers last fall. The higher estimate was the number of the animals that may have been heard over a system of floating acoustic monitors making distinctive, dolphin-like "clicks." The commission said the most likely number of remaining vaquitas was somewhere around 10. Activists have said in the past that the few remaining vaquitas are concentrated in such a small area — a rectangle of about 15 miles by 7 miles — that some sort of floating barrier could potentially be built around them to keep illegal fishing boats out. But the government program announced Thursday appears to fall far short of that. Instead it simply proposes marking the vaquita reserve — a larger area — with buoys, even though it is quite clear that poachers know very well where the reserve starts. The plan proposes fish farms, vaquita-safe nets and sport-fishing for totoaba as potential sources of income for fishermen. But it will be hard for such schemes to replace the thousands of dollars that fishermen can sometimes get for a large totoaba swim bladder.